S! Houston Performance Driving Members and TX2K12 Racers! Houston Performance Driving.com will be hosting the TX2K12 Night Meet & Bikini Contest @ Frank-N-Steins Bar and Grill in Katy! Frank-N-Steins will be the Head Quarters for all TX2K11 meet ups and driver gatherings during the event week. TX2K Coordinator Peter Blach (houstonT) along with Houston Performance Driving would like to welcome all the TX2K drivers and spectators to The Power City! The fastest and most powerful street cars in the nation will be coming to Houston, TX for the TX2K12 National Performance Meet. It's a privilege for (HPD) Houston Performance Driving to be able to coordinate the Night Meet & Bikini Contest, and bring you a "balls deep" TX2K12 Night Meet. - When: Friday March 16th, 2012. - Where: Frank-N-Steins Bar & Grill in Katy. - Meet Time: Starting @ 8PM. - Bikini Contest: Starting @ 11PM! - Address: 233 South Mason Rd. Katy, TX 77450. Come join all the fun and high performance rides that will be coming through the TX2K12 Night Meet. Find a parking spot inside the area and hang out with friends. Frank-N-Steins will be ready to serve all the TX2K folks enjoying the meet. There will be full bar/menu services inside. Food will also be sold outside in the parking lot. Burgers and dogs and other foods will be made available. Beverages will also be sold outside. MUST BE +21 TO DRINK! Water and sodas will also be available outside. The famous TX2K Bikini Contest will start @ 11PM. Gather round for a Ultra Hot good time! Some of the hottest ladies in the Power City, and guests from outside TX will be tossing their "bikini body" in the ring! Guys have your cameras ready! Enjoy the rest of the meet and get some SAFE! 1) Please do not drive in a unlawful manner. There will be a lot of people walking around the parking lot. We do not need anyone injured by someone trying to show-off. There will be police officers at the meet working that will ticket you for anything that warrants it. Don't be the next YouTude sensation. 2) No burn outs, loud music, or continual engine revving. 3) Please be respectful of all the rides at the Night Meet. Please do not sit or lean on any car/truck/bike. 4) Use your head and please be 100% safe at all times. It's that easy. 5) Be respectful of these simple rules and everything will be just fine. 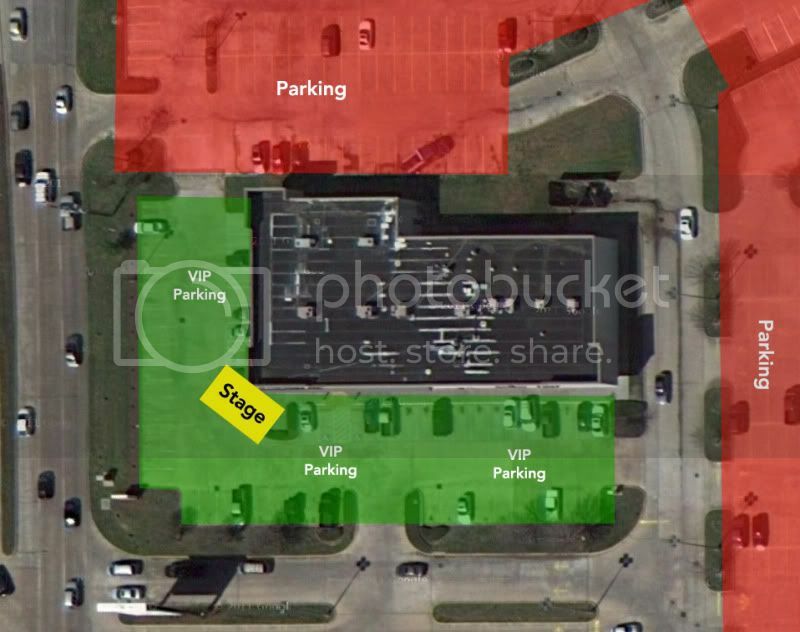 1) The small parking area in front of Frank-N-Steins will Sponsors and VIPs ONLY! If you do not fall into one of those two categories please park inside the K-Mart lot. 2) The large parking area along the side of Frank-N-Steins will be overflow. The K-Mart will be for all the car clubs and other forum groups. Please park and enjoy the event. Thursday March 15th: High Performance Driver's Education @ Houston Motorsports Ranch. Friday & Saturday March 16th: Dyno Day @ Hennessey Performance Enginering. Friday March 16th: Night Meet & Bikini Contest Hosted by HPD @ Frank-N-Steins Bar and Grill. Saturday & Sunday March 17th - 18th: Drag Racing @ Lonestar Motorsports Park.